In what was beginning to feel like a familiar ritual, I walked in the early morning darkness from my hotel to the bus station. 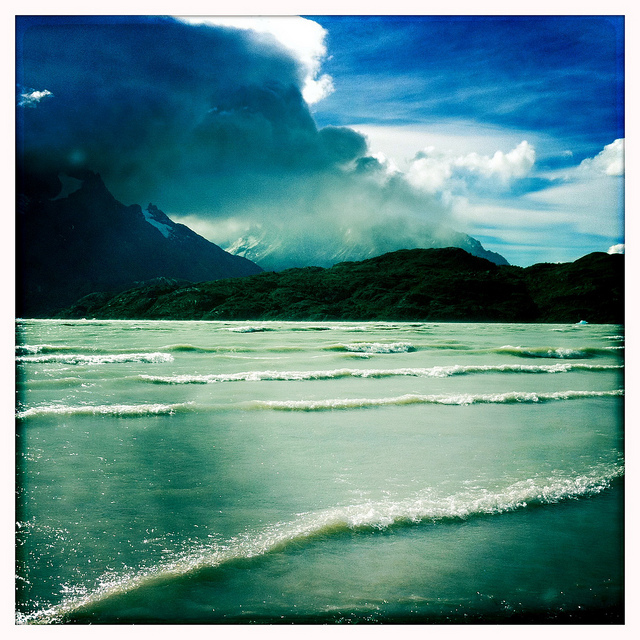 It was time to leave Argentina and cross over to Chilean Patagonia. 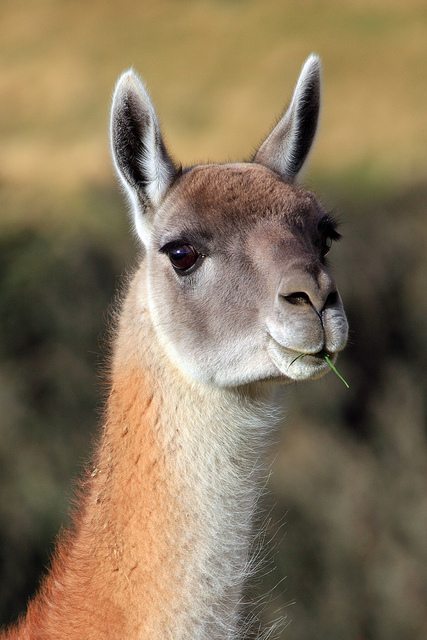 The ride from El Calafate, Argentina to Puerto Natales, Chile took only five hours. In the lonely little outpost that served as the Chilean border control checkpoint, surrounded by barren fields and snow-capped mountains, the middle-aged immigration officer who checked my passport was singing along to the Red Hot Chili (in this case maybe Chile?) Peppers song Scar Tissue. Another reminder that very few places on the planet have not yet been reached by the tentacles of U.S. pop culture. 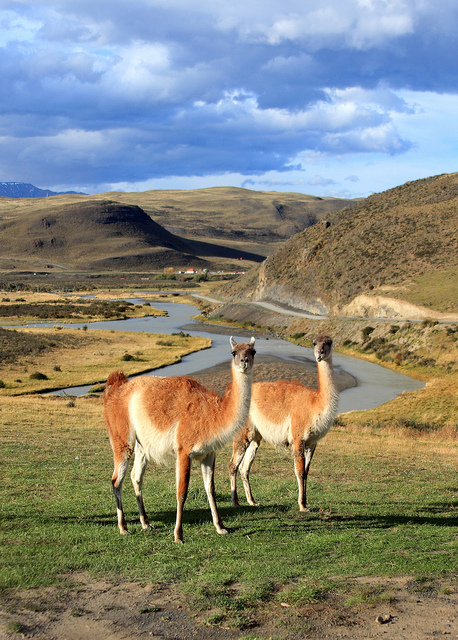 Puerto Natales itself is not a particularly exciting place, but just 70 miles to the north is Torres del Paine, one of the best national parks in all of South America. I wanted to spend as much time as possible inside the park. 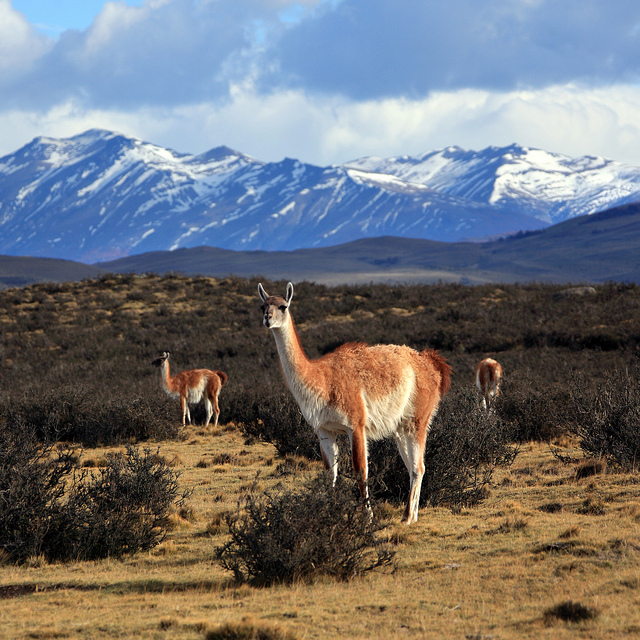 Unfortunately, though, I had to be back in Puerto Natales by April 12th in order to catch the once-a-week ferry to Puerto Montt, which meant I couldn’t hike the park’s popular five-day “W” circuit. Cecilia, the owner of the hostel I stayed at, helped me work out a plan. 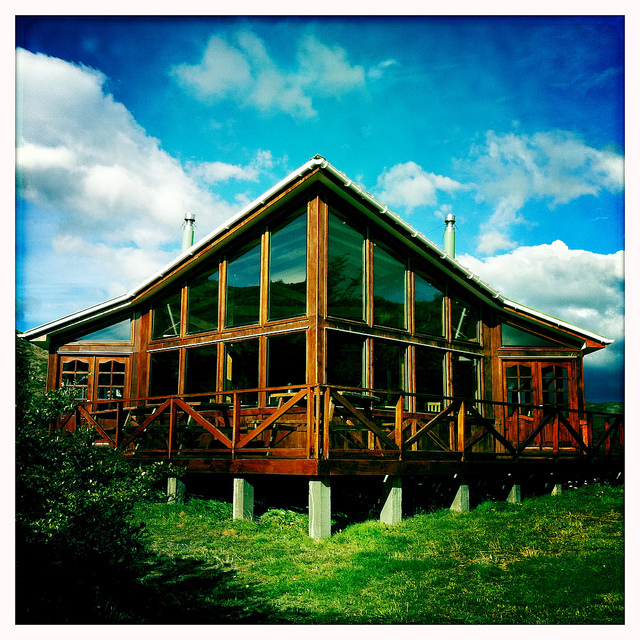 I’d start with one of the normal Torres del Paine day tours, but instead of returning to Puerto Natales I’d spend two nights at the Hosteria Las Torres, right in the middle of the park. 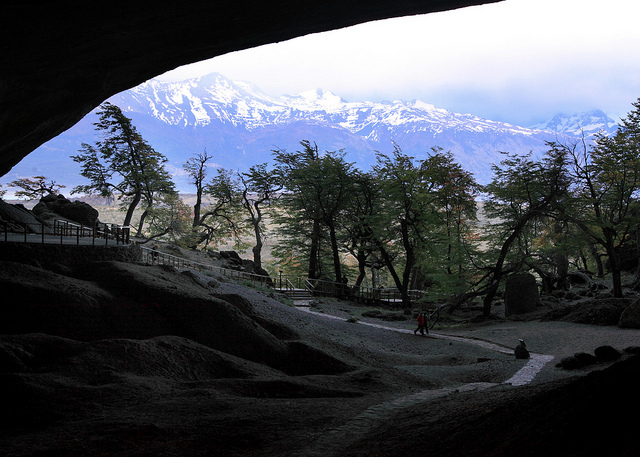 From the hotel an 18-kilometer (round-trip) hike would take me to one of Chile’s most scenic spots, a small glacial lake at the base of the distinctive granite towers from which the national park takes its name. I was picked up early the next morning and packed into a van full of other tourists. I’m never happy to be squeezed into close quarters with the masses, and something about the contrast between my lack of personal space and the vast emptiness of Patagonia made me more uncomfortable than usual. 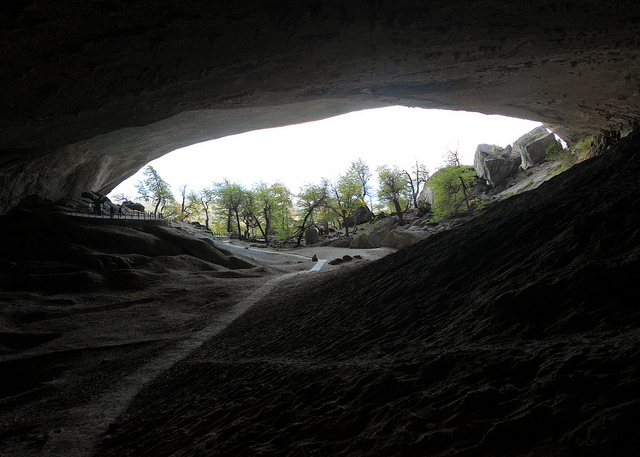 I looked forward to our first stop, the Cueva del Milodón (Mylodon Cave), as more than just an opportunity to temporarily escape the van. 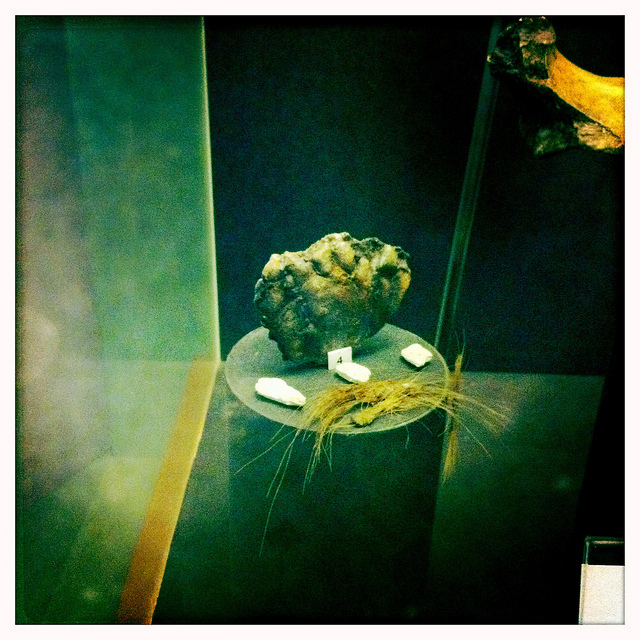 Bruce Chatwin’s book In Patagonia begins by describing a hairy patch of mylodon skin (“…thick and leathery, with strands of coarse, reddish hair”) that was sent to his grandmother by a cousin who’d visited the cave. The skin triggered Chatwin’s imagination when he was a child and kindled what became a lifelong fascination with Patagonia. 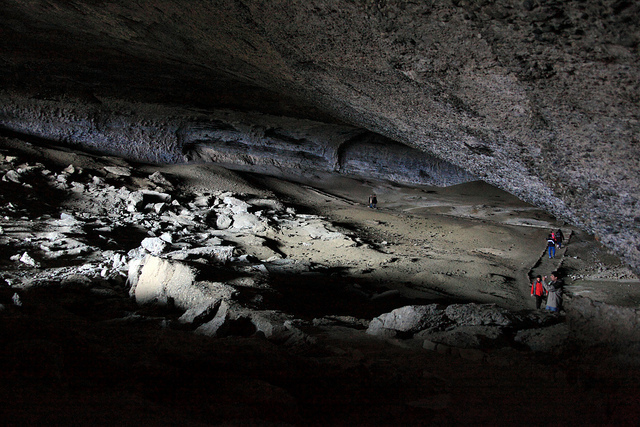 “I can’t believe they charged us 3,000 pesos to see that cave,” said a British tourist as we walked out. “There was nothing in it, was there?” No, I thought, not any more. 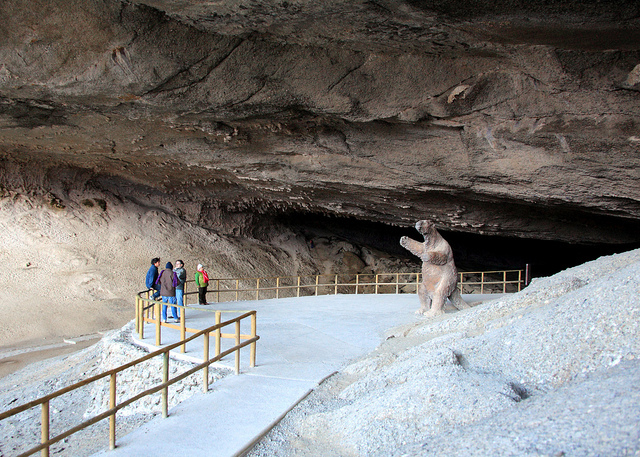 An Excel graph posted at the entrance to the visitor center showed that 72,234 people toured the cave in 2010, up from 41,329 in 2000. 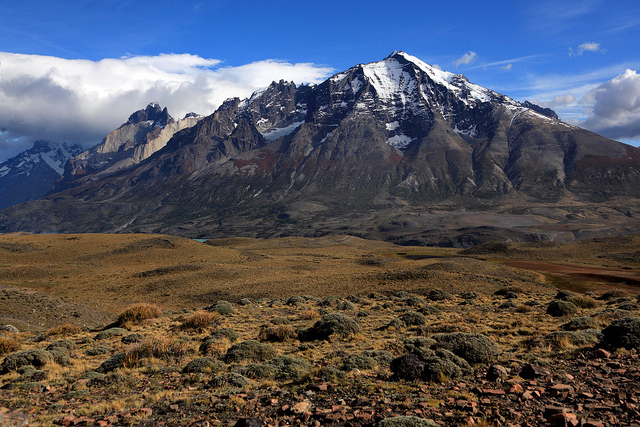 Soon after leaving the Cueva de Milodón we had our first view of the majestic Paine massif. 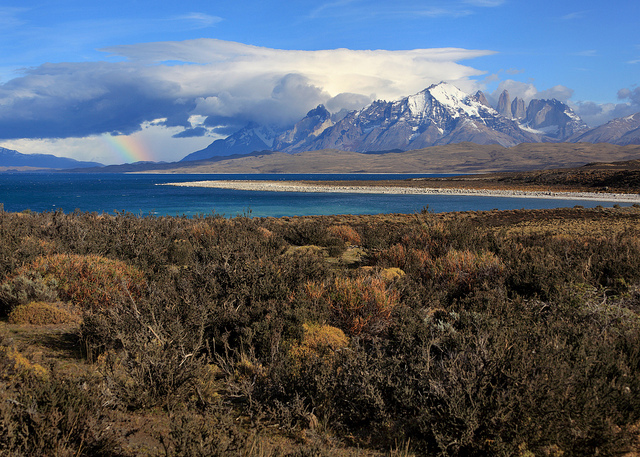 Not only could we see the Torres del Paine – something clouds often prevent – but a rainbow appeared beside the mountains. 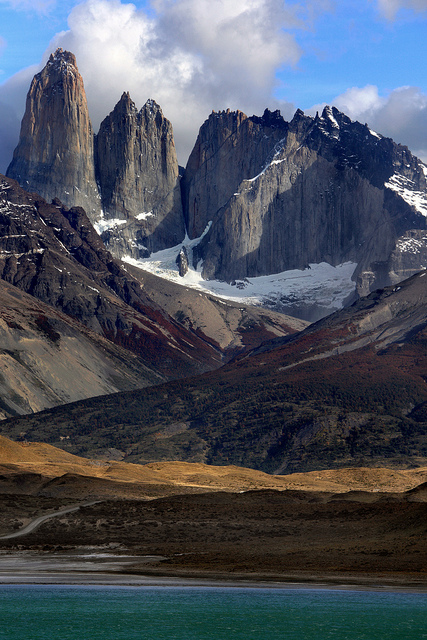 After my frustrating experience waiting for a glimpse of Fitz Roy, I fully appreciated our good luck. Patagonia may have granted us a sunny, relatively warm day, but the wind made sure we didn’t get too comfortable. Its force was visible. Across fields the wind pressed the grass horizontal against the ground and on lakes it whipped up miniature squalls. Some of the gusts knocked me several steps backwards. I’d never experienced such powerful wind. And this was happening under a clear blue sky. What must it be like during a storm? We stopped at Lago Nordenskjöld and ate lunch at Lago Pehoe. Eventually we reached Lago Grey, a small glacier-fed lake driven so furiously by the wind that angry waves pounded the shore. In the late afternoon the van dropped me off at Laguna Amarga, where I caught a ride up the road to Hosteria Las Torres. I expected a primitive hostel and instead found something that looked like an upscale ski lodge in Aspen. In the middle of a remote national park this place had a health spa, wi-fi, and a fully-stocked bar that sold beers for $7 (not including the recommended 10% tip). So much for the illusion of roughing it. I appreciate a good Internet connection as much as anyone, but I wished I was visiting the park in 1975 instead of 2011.